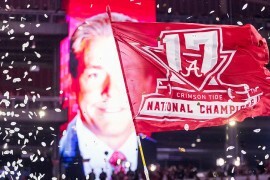 The Crimson Tide flag waving high and proud following the championship. The game was tied 20-20 at the end of regulation. Georgia’s Rodrigo Blankenship kicked a 51-yard field goal giving them the three point lead. Then Alabama’s DeVonta Smith caught a 41-yard touchdown pass to win the championship in overtime. The last Alabama-Georgia rivalry game was back in 2015, when Alabama dominated 38-10. In the third quarter, Saban replaced starting quarterback Jalen Hurts with true freshman QB Tua Tagovailoa, after having no points scored at all in the first half. Georgia was leading 13-0. Saban said the game came down to throwing the ball, and that Tagovailoa could make winning plays. “We’ve had this in our mind that if we were struggling offensively, we would give Tua an opportunity. I thought Tua would give us a better chance and a spark. And he certainly did,” he said. This makes Saban’s fifth national title with Alabama. His first one was with Louisiana State University in 2003. “This was a great win for our players and I’ve never been more happier in my life.” Saban said. Sports media personality, Colin Cowherd, who has his own television show on Fox Sports 1, and radio show on iHeartRadio, said the win was an example of world-class coaching. Cowherd explained eight things that went wrong for Alabama including Georgia having the home-field advantage in Atlanta, UA missing two field goals, and a UA player collapsing on the sideline. 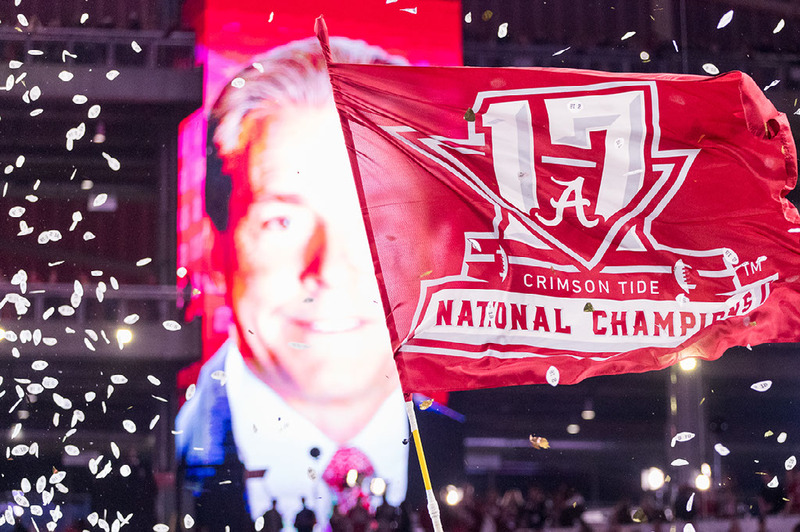 Cowherd added that the quarterback switch was what really changed the game for Alabama. Georgia was prepared for Hurts’ way of playing, not Tagovailoa’s. In an upsetting loss to Georgia at the Rose Bowl, University of Oklahoma’s football coach Lincoln Riley said they “weren’t perfect” and had an opportunity to win the game. The game went into double overtime, with Georgia scoring a touchdown and leaving the final score 54-48.